I love shopping for drugstore makeup down in the States because I can often find brands like Revlon and Maybelline for half price of what they cost in Canada! 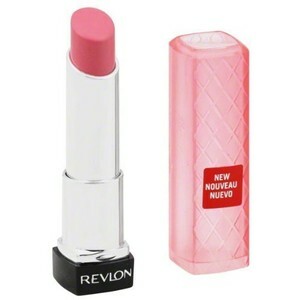 So I picked up a few things from Target (I love that place) and one of them was Revlon Colorburst Lip Butter in Strawberry Shortcake. So does it live up to all the hype? This buttery balm plus shiny color’s consistency is creamy and it glides on smoothly, but I was surprised at how opaque it is considering Revlon describes it as being sheer. I also wasn’t expecting it to be such a cool shade of pink – it’s very blue based. I noticed I had to keep reapplying this unscented product quite often throughout the day. Overall, I don’t love it, but don’t hate it either. I’d like to try another color. Karlasugar.net has great swatches of all the shades, even a UK exclusive color called Macaroon. Yum!